Thank you to Gulf Shores and Orange Beach Tourism for sending us on this amazing getaway! 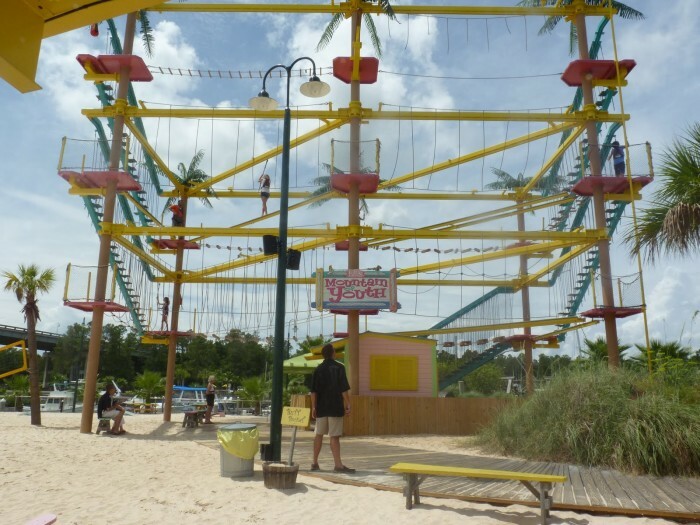 When my husband and I went to Gulf Shores, Alabama for our romantic getaway weekend, one of the places we decided to eat at was Lulu’s. 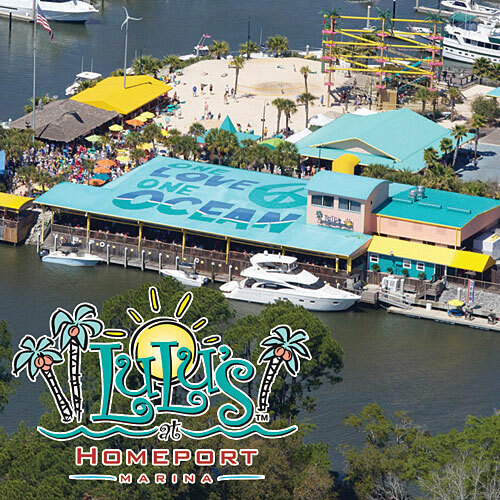 This restaurant is owned and operated by none other than Lucy Buffett — Jimmy Buffet’s sister. The atmosphere and food both were FANTASTIC! We decided to eat here our first night in Gulf Shores. After leaving our romantic beach side condo (where an afternoon nap was needed from the drive here) we hit the road to go in search of this popular restaurant. The moment we pulled up, I felt like I had been transported to a tropical island paradise. 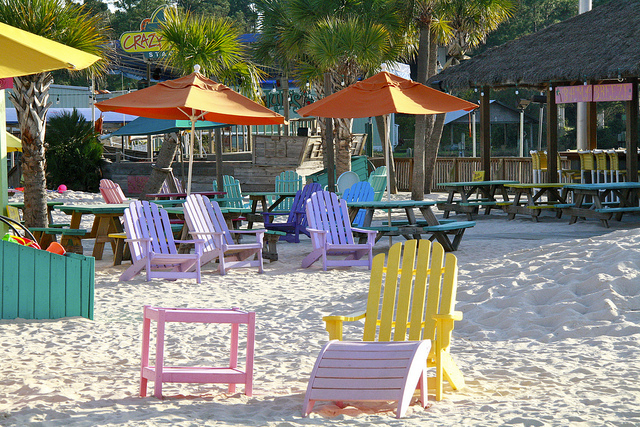 Everywhere we looked were colorful chairs, white sand, and island music. Lulu’s is right on the water at the Homeport Marina. 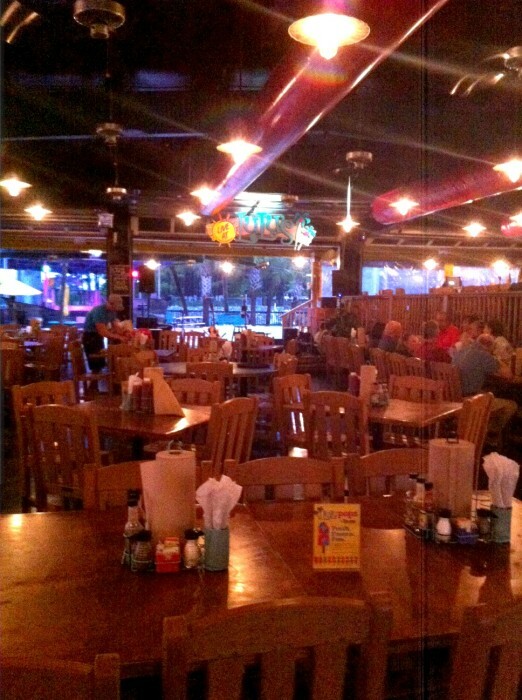 The restaurant is owned and operated by Jimmy Buffett’s sister, Lucy. 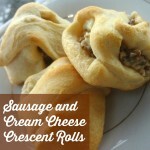 They are known for their “Cheeseburgers in Paradise” (yes, like Jimmy’s song). You can create your own burger, a la the “Crazy Sista Version”. The restaurant also boasts many Southern fried specialties, such as the ever-delectable Fried Green Tomatoes served with LuLu’s Wow Sauce, and their own brew, the Crazy Sista Honey Ale. 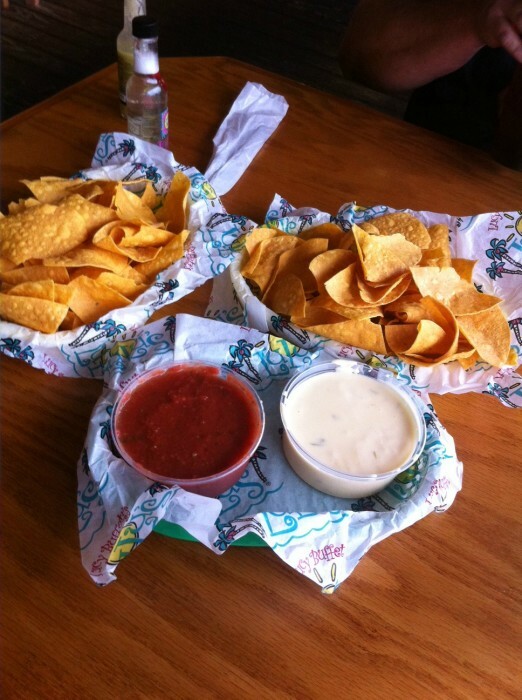 Stephen and I decided on a starter of chips and salsa that also comes with a cheese sauce that is out of this world. 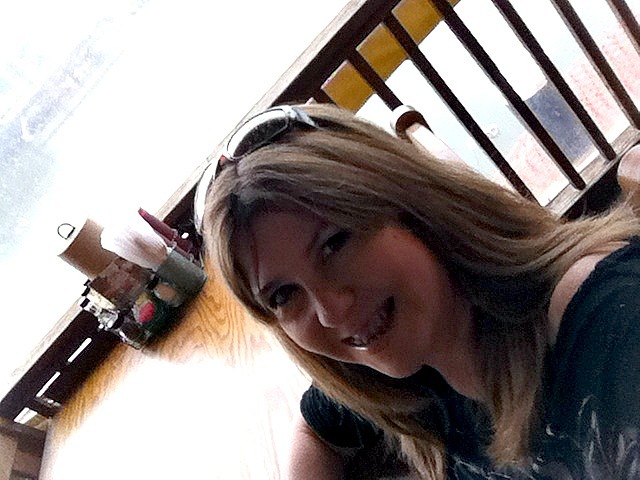 While we were eating our appetizer, I decided to take in the sites and sounds of Lulu’s. While we were there they had some live entertainment going on and it was electric! Once our meal came, I was curious how the food was going to taste. It was absolutely delicious. 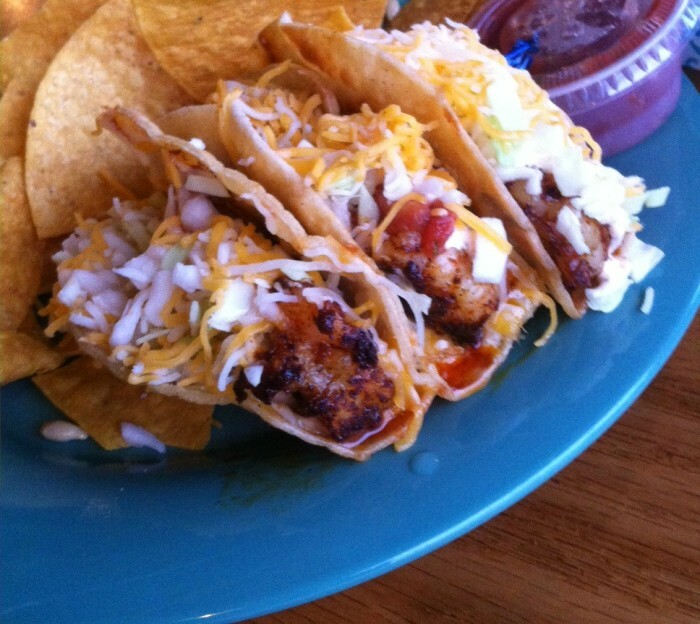 I opted for Shrimp Tacos because I have always wanted to have authentic and fresh shrimp tacos — and Lulu’s has the best ever! The food was so delicious. And the one thing that I found out that I love about Lulu’s? They cater to six different allergies when it comes to food. 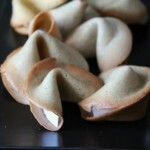 They offer gluten-free, egg-free, seafood, shellfish, and dairy free menus. Regardless of your diet or taste, remember that everything at LuLu’s is made in-house, fresh to order. 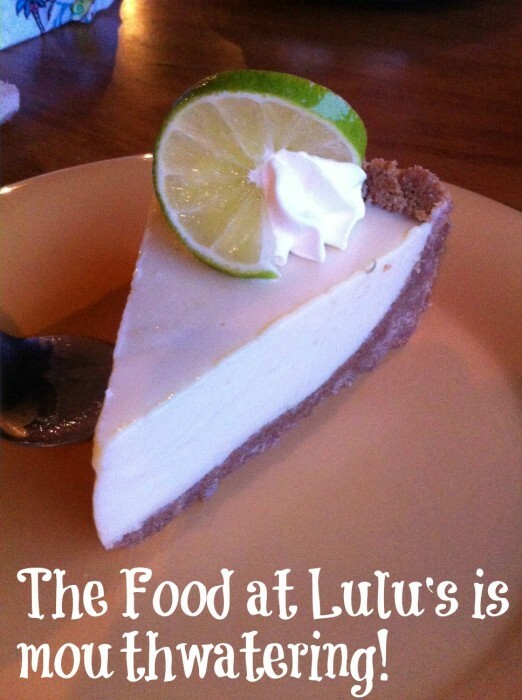 For dessert, I wanted a slice of fresh Key Lime Pie and Lulu’s did not disappoint! Make sure you leave time to look around the gift shop, use the photo booth, climb the Mountain of Youth (a ropes course) and even take in some live music. Lulu’s is open 7 days a week from 11am until 9pm Sunday through Thursday, with later hours on Friday and Saturday (11am-10pm). To see the menu be sure and visit their website, where you can also check out all the fun they have there and purchase something from the gift shop. You can also check out Lulu’s on Facebook, Twitter, and YouTube. 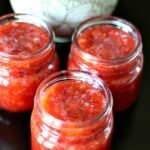 Have you ever been to Lulu’s? Sounds like a really fun place with food to match the atmosphere. Is there an option to eat out on those fun chairs in the sand? The Key Lime Pie looks like it was an amazing choice! 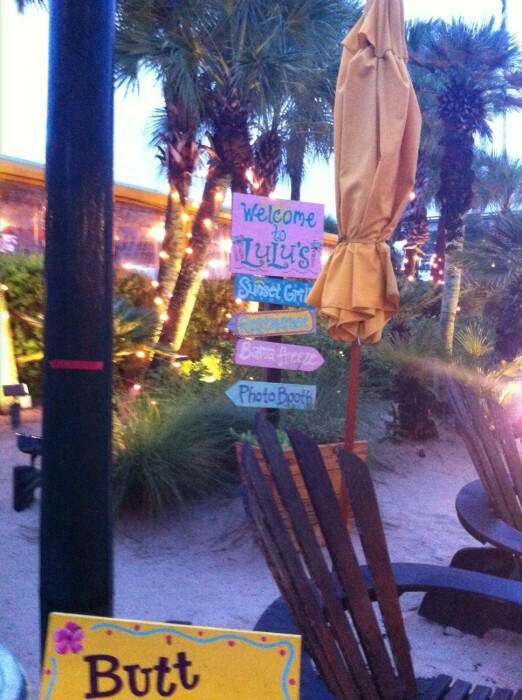 I’ve never been to Gulf Shores but Lulu’s would be fun to visit. This looks like an amazing place to eat! Those nachos look yummy! I would love to stop and eat here with the family if I am in the area. 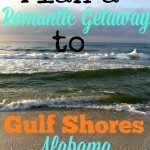 My husband and I were just talking about vacationing along the gulf shores of Alabama. Orange Beach looks very nice and Lulus looks like a great place to grab a bite to eat and relax with your feet in the sand. How fun for the kids to have a place to play right outside the restaurant! Definitely want to check this out! one of my friends used to work there and people would come in confused it wasnt a buffet.